Your smoking and eating habits and even the effects of natural aging can take a toll on your smile, but the Zoom!® dental whitening system can bring it back to life. Can Zoom!® Teeth Whitening Save My Smile? Now that Zoom!® is available, whitening teeth in Peoria has never been easier. The Zoom!® system uses a combination of intense light and powerful hydrogen peroxide bleaching gel to produce stunning results in record time. The popular teeth whitening brand has been featured on personal makeover television shows and has earned worldwide fame for its ability to lighten the color of teeth up to eight shades in just one 45-minute treatment. Our experienced teeth whitening dentists can determine if Zoom!® is the best option for transforming your smile. Call us today to schedule an exam. What Does Zoom!® Teeth Whitening Cost? Whitening teeth with Zoom!® is probably more affordable than you think. Although dental insurance doesn’t cover cosmetic whitening, many patients are able to easily fit the treatment into their budgets. Our dentists can perform a comprehensive exam to determine your eligibility for Zoom!® dental whitening and provide an accurate price estimate. Get started by making your appointment today. Every teeth whitening dentist knows that gel-based bleaching agents are one of the most powerful tools for whitening teeth. The Zoom!® system employs a 25-percent hydrogen peroxide gel to provide intense, dramatic bleaching effects. Once the gel breaks down and penetrates the tooth surface, it forces oxygen into the enamel and dentin, which bleaches away years of discoloration without hurting the tooth. 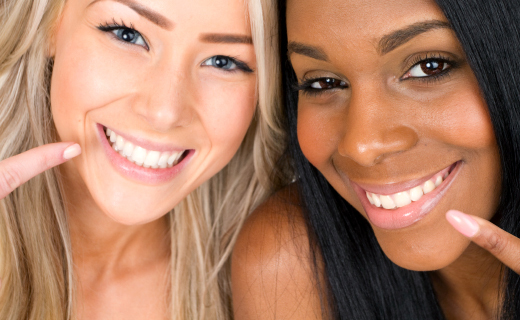 For maximum teeth whitening, the Zoom!® treatment involves three applications of bleaching gel. Is Light Teeth Whitening Better? A teeth whitening treatment that uses a light source to increase the bleaching capacity of the peroxide gel can provide more intense results in a shorter amount of time. Experts report that teeth whitening is enhanced by 33 percent or more with the use of the Zoom!® Advanced Power Chairside Lamp. Applying the light is easy and safe. During your Zoom!® teeth whitening procedure, your eyes are shielded from ultraviolet rays by protective glasses. You have several options for whitening your teeth. Some patients who are concerned about teeth whitening cost try over-the-counter dental tray kits or strips only to find that the results are unsatisfactory or inconsistent. Professional whitening relies on the experience and expertise of a dentist who is familiar with the underlying causes of discolored teeth and the problems caused by existing restorations that don’t respond to teeth whitening gels. While do-it-yourself whitening is subject to user error, you can trust your dentist to provide effective whitening services in the office or as a supervised home procedure. Before your teeth whitening procedure, you’ll receive a careful examination and teeth cleaning. During the first step of the Zoom!® whitening process, your dentist will expose your teeth and shield your gums and lips by covering them or painting them with a liquid protectant. Three separate applications of bleaching gel are required. Each application is left in place for 15 minutes while the Zoom!® lamp is directed at your teeth. After the final bleach coating is removed, your dentist will apply a special treatment to reduce sensitivity and discomfort. You may also be given a maintenance kit to use at home. Don’t let yellow, stained teeth ruin your ability to smile with pride Let us help you explore your options for whitening teeth in Peoria. People and the skill of delivered treatment. I depend on Dr Ruffner for a solid plan and perfect blend of skill and personality. Everyone i came into contact with was extremely nice and courteous. I’ve been a patient at Maple Shade for 27 years. That should tell you all you need to know about the type of dental practice it is. Everyone there is tops.